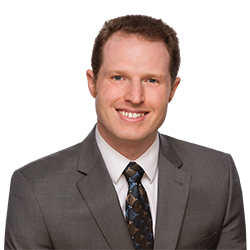 Matthew U. Scherer | Littler Mendelson P.C. Matthew U. Scherer assists employers in all aspects of employment law. He has significant experience in the use of data analytics in employment and in leave and disability accommodation laws. Before entering private practice, Matt completed judicial clerkships for the Hon. Deborah L. Cook, U.S. Court of Appeals for the Sixth Circuit, the Hon. Gregory M. Sleet, U.S. District Court for the District of Delaware and the Hon. Charles K. Wiggins, Washington Supreme Court. These provided him experience with both state and federal courts and at the trial court, intermediate appellate court and supreme court levels. He also served for more than two years as an assistant prosecuting attorney in Pontiac, Michigan. Matt is a graduate of the Georgetown University Law Center, where he served as editor-in-chief of The Georgetown Journal of Legal Ethics. Prior to law school, he received a Master's in Educational Policy from the University of Pennsylvania's Graduate School of Education. Matt is a member of Littler’s Robotics, Artificial Intelligence and Automation industry group as well as Littler’s Workplace Policy Institute, and is a noted writer and commentator on the legal and policy issues surrounding automation and emerging technologies. Algorithms and Artificial Intelligence: Are they being used in harmful ways? Matt Scherer contemplates the legal implications of A.I. 's bias problem.